Are you prepared to take the plunge and move to sunny California? Moving from New Jersey to California is a major undertaking. Whether you’re making a cross-country move for business, family, or a fresh start, our team can get you there effortlessly. We know that starting over can be daunting, but with help from the moving professionals of Simonik Moving & Storage, relocating your home can be easier than you ever dreamed possible. Our BBB accredited business has been helping families like yours relocate their homes since 1977, and our commitment to quality hasn’t faltered since. 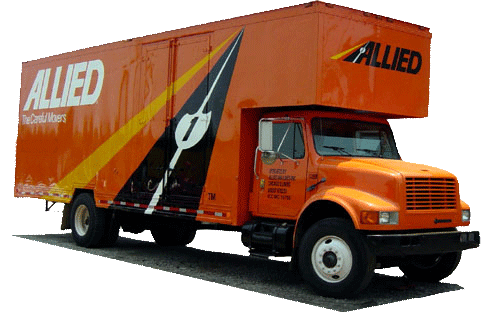 As an award-winning agent of Allied Van Lines, a nationwide network of moving and storage professionals, we’ve proved our valiance time and time again. Between superb customer service and strategic, experienced-based moving techniques, we’re a top-tier choice for your move to The Golden State. Simonik Moving & Storage provides short and long term solutions for your every storage need, giving your items a home away from home in our warehouse. If you’re moving from NJ to CA and need your items to arrive when you do, we can pack everything for you in a shipping container that we can securely store at our facility. Simonik Moving and Storage serves households throughout North and Central Jersey, including Hunterdon, Mercer, Middlesex, Monmouth, Morris, and Somerset counties. As a certified ProMover with the American Moving & Storage Association, our organization is constantly improving our techniques to excel in the industry, and our hard work has not gone unnoticed. We’ve been a recipient of the New Jersey Warehousemen & Movers Association’s 'Mover of the Year' award, always growing as we develop new ways to serve your every need during your NJ to California move. When you’re ready to select the best NJ to California moving services, call the qualified professionals of Simonik Moving & Storage to get the job done. You can contact us today for a free, no-obligation moving estimate by calling our toll-free hotline, or simply filling out our online form.